On the 1st August 2010 Vivien Noakes received an email telling her of some pictures owned by descendants of Sarah Street, née Lear. A further email yielded a few details; but the onset of Dr. Noakes’s final illness aborted the correspondence. It was not until June 2012 that communication with the family could be renewed; and several months passed before photography was possible. 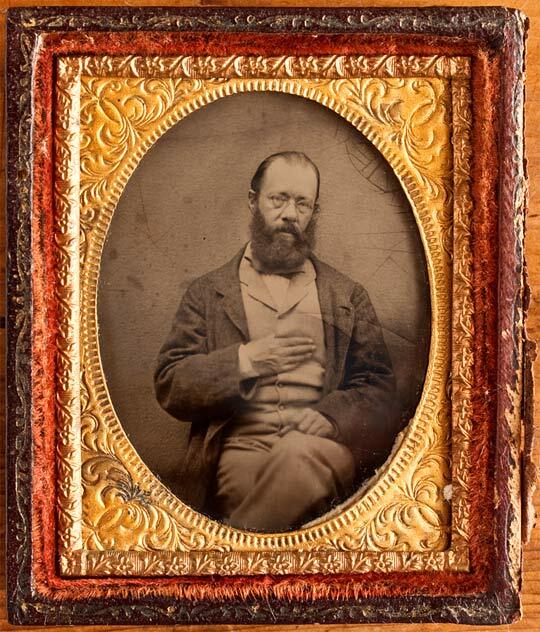 Now, after more than three years, the Blog of Bosh can show several unfamiliar pictures of the Lear family, and a few of Edward Lear’s possessions. 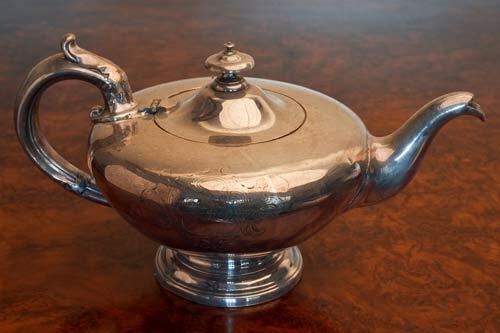 Sarah, Edward’s second oldest sister, emigrated to New Zealand in the 1850s, but remained in contact with the family. 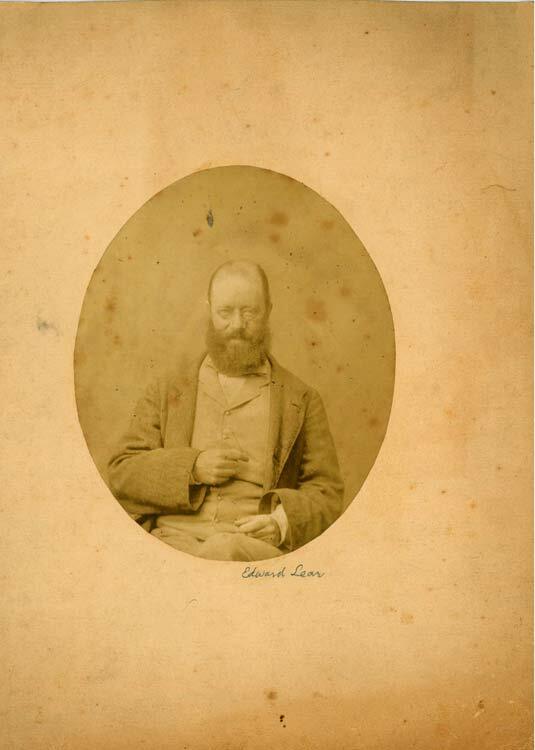 It was her great grand-daughter, Lily Bowen who conveyed the mixture of fact and lore that would be the main source for the family history in Angus Davidson’s biography; and it was Mrs. Bowen who identified the subjects of several photos and portraits in the collection, which will be shown in the coming posts. 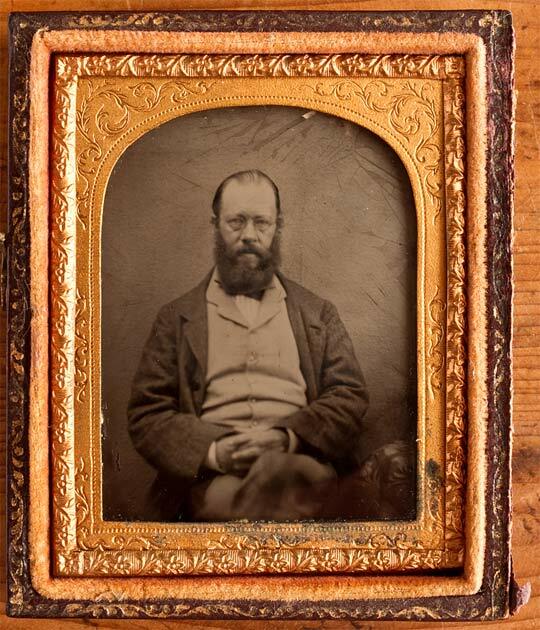 We do not need Mrs. Bowen’s word, to identify what is probably the first portrait of Edward Lear, painted by his sister Ann when he was nine. Portrait of Edwd. Painted by me when he was 9 years old. A.L. 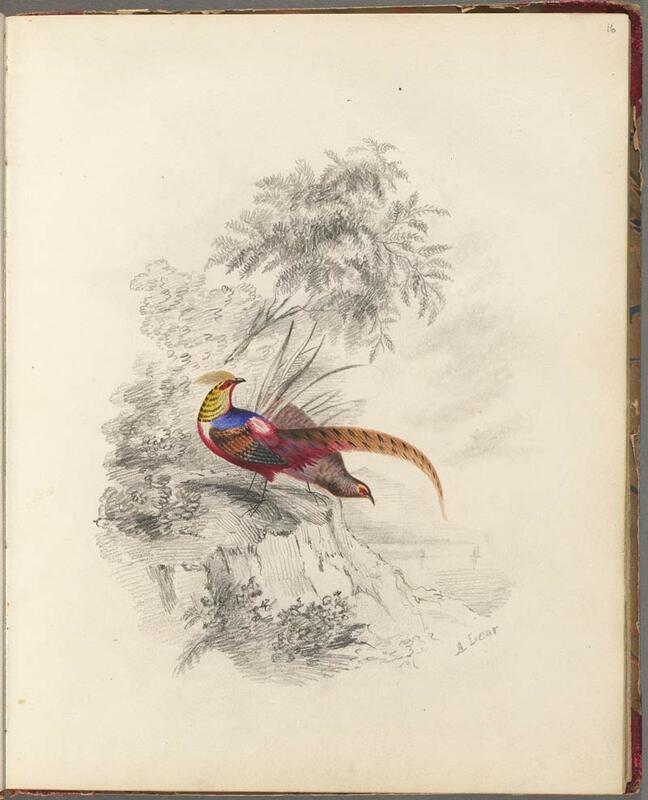 The painting shares some of the features of watercolour drawings by Ann and Edward in an album at Houghton, in which coloured birds are portrayed in front of imaginary landscapes. On the background to the portrait Ann lavished more detail: the spring to the left, the white specks on the bay – on examination they are revealed as stylized whale sprays – and the temple among the trees to the right of Edward’s head hint at a shared fantasy world. 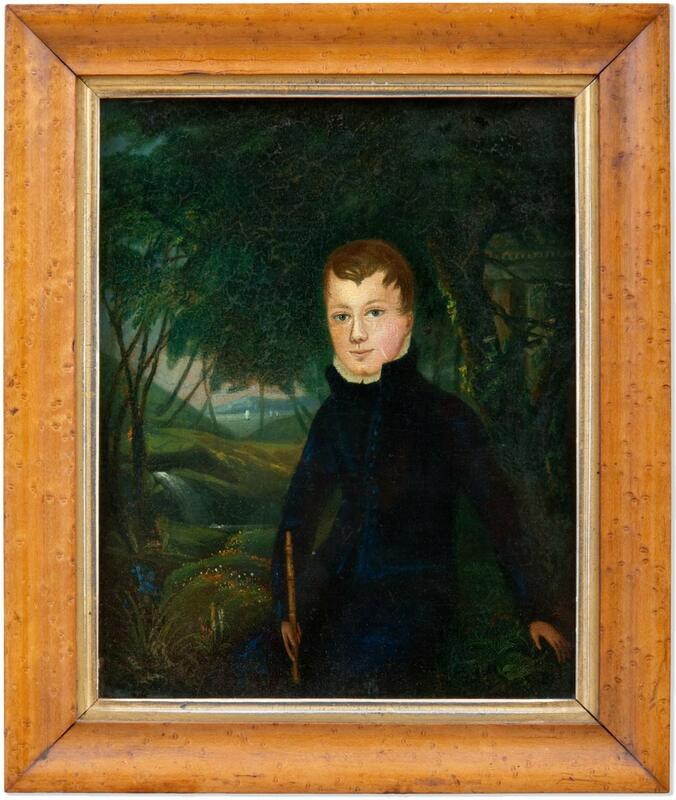 Except that she gives a hint of the Lear-family nose, one cannot judge the accuracy of Ann’s depiction of her nine-year-old brother – of whom it is hard to find traces in a photograph that shows Lear in early manhood, at about the time perhaps of the Marstrand portrait in the National Portrait Gallery. Neither Lear’s ring nor his watch is shown in the above pictures: we know that Ann left him her gold watch, and the ring appears to be made in the same style, so he might have acquired both at the time of her death. 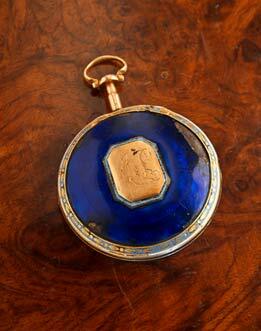 This was given to Edward by a member of the Hornby family, relatives of the Stanleys. “G. Hornby” was in all probability the “Geoff H.” of the Diaries, i.e. Geoffrey Thomas Phipps Hornby (1825-1895), sometime commander of the Neptune (Diary 10.ii.82); an “old and trusted friend” that Lear had in all likelihood first met in his Knowsley days in the early 1830s. Accompanying Lear to church, the book may have been dumb witness to his frettings at the length of sermons, and fumings when the Athanasian Creed was said. That’s a lovely portrait, great colours.